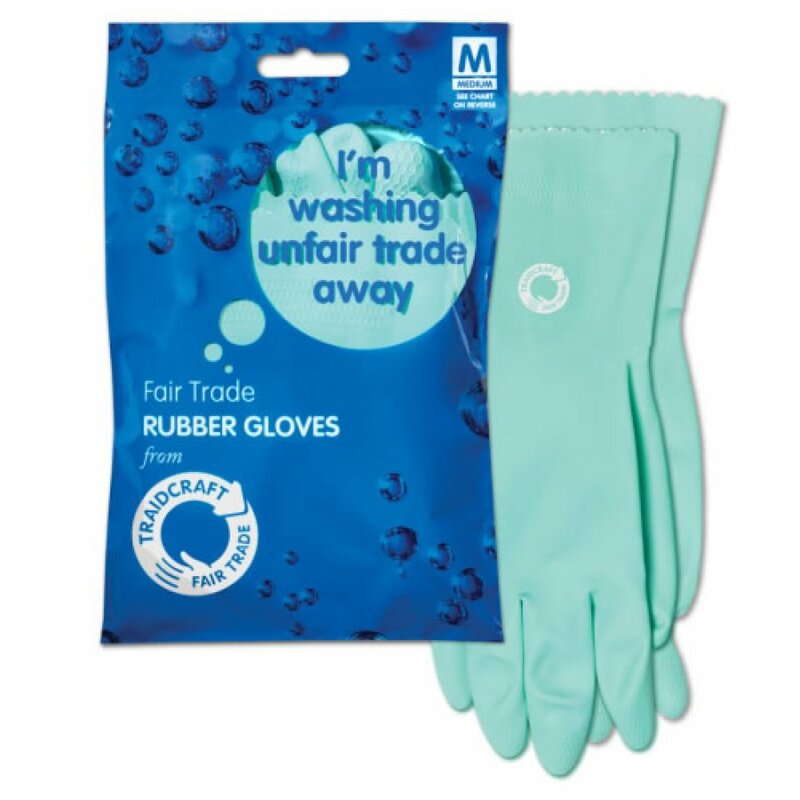 Do the housework in comfort with these natural rubber latex Fair Trade Rubber Gloves from Traidcraft. 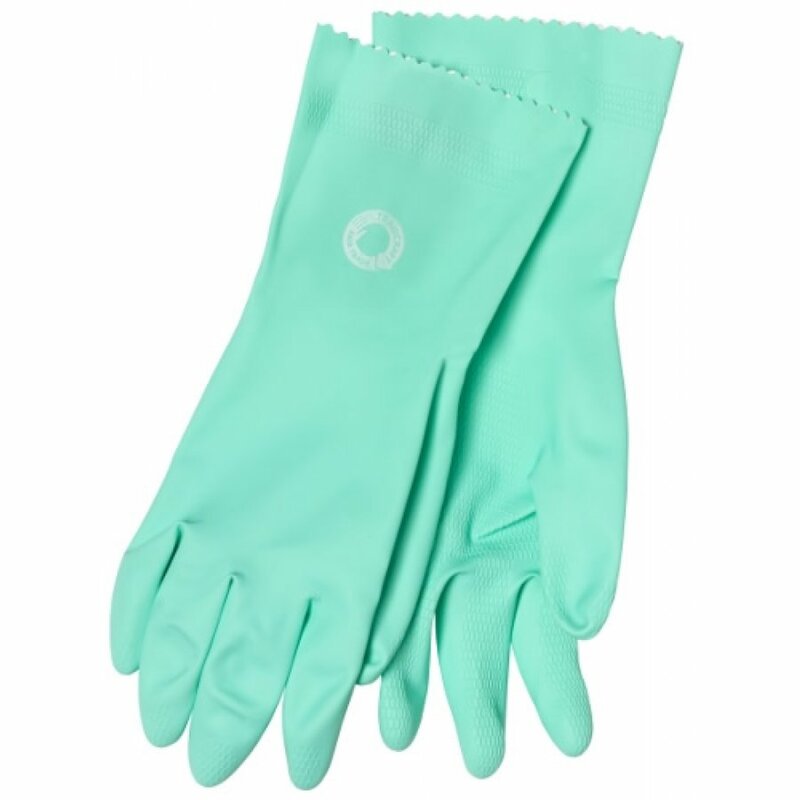 Designed for a better fit with a smooth cotton flock lining, these rubber gloves are made from a natural latex specially formulated for increased resistance to household detergents, helping to protect your hands as you work. 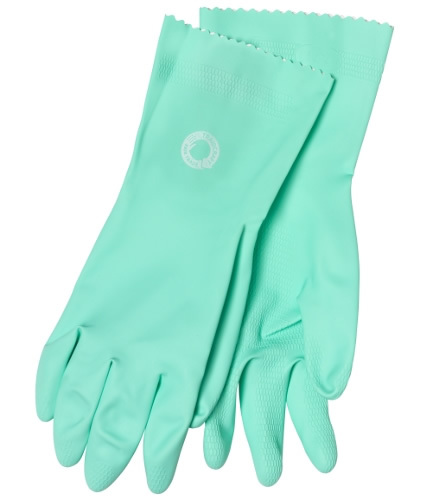 These fairly traded rubber gloves are ideal for all household tasks from dishwashing to hand washing clothing. The rubber used to make these gloves is harvested by Sri Lankan farmers who work with the Firstlight project, an organisation promotes fair trade ethics and ensures fair prices are paid for their produce. 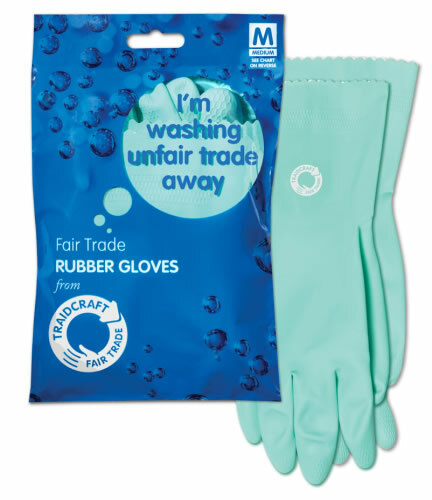 The Traidcraft Fair Trade Rubber Gloves product ethics are indicated below. To learn more about these product ethics and to see related products, follow the links below. Good but a bit too small for me; it’s a shame they are so hard. 5p get hold of in large. Good product. These gloves do the job they need to do, and seem to last well. Good alternative to non-fairtrade products. There are currently no questions to display about Traidcraft Fair Trade Rubber Gloves.